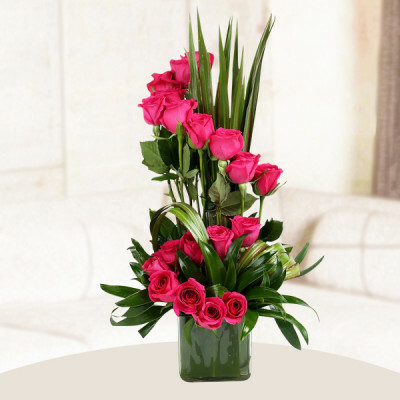 Express your emotions for her with red, pink, and more Valentine Roses by ordering Valentine's Day Roses for her, online with MyFlowerApp. 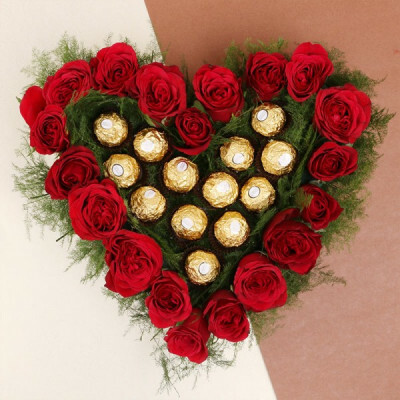 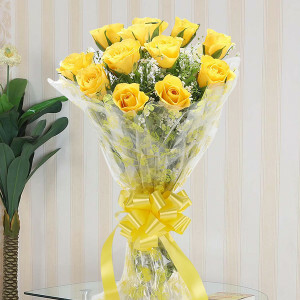 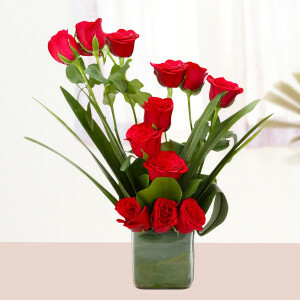 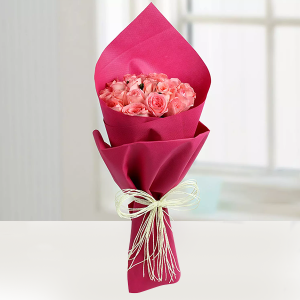 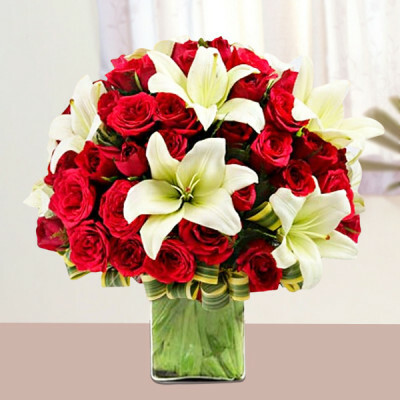 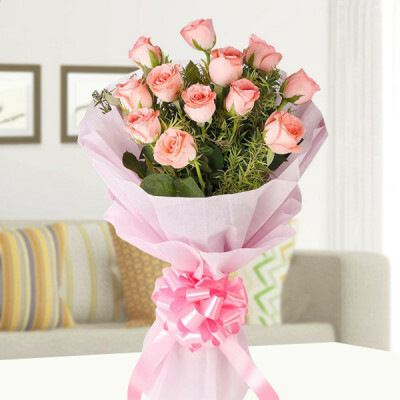 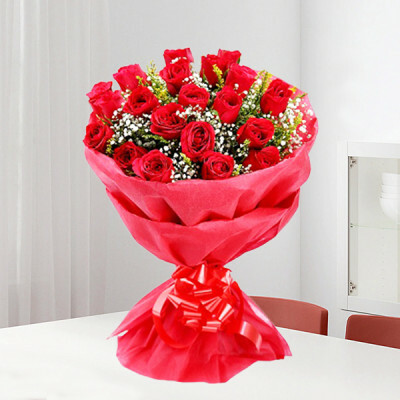 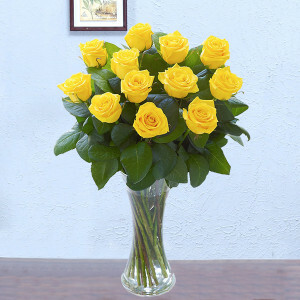 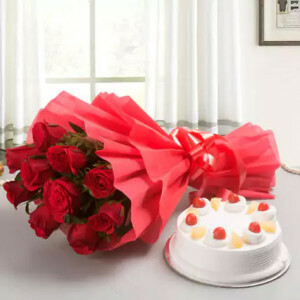 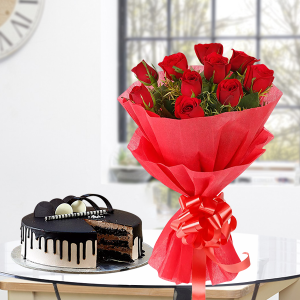 Select elegant roses and floral arrangements along with Valentine gifts and we will deliver them anywhere in India. She is delicate and beautiful like a rose, and the love of your life. 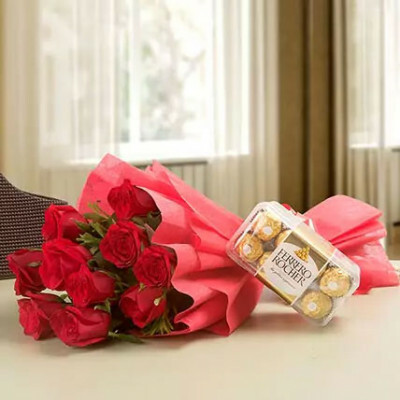 If you have trouble expressing your heartfelt emotions properly, then make use of the opportunity that this Valentine's Day offers you. 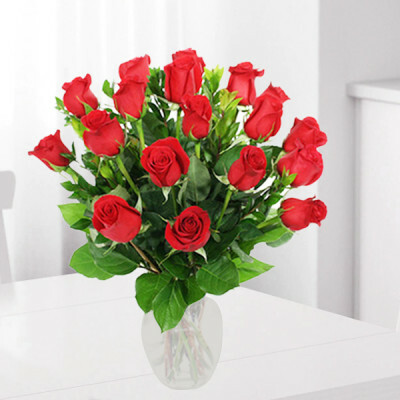 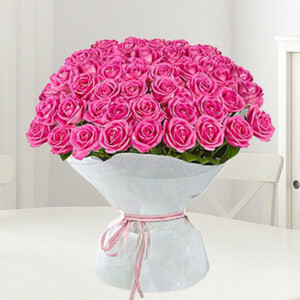 Send Valentine Roses for Her online and you will not even have to say anything. Roses speak the language of love best. 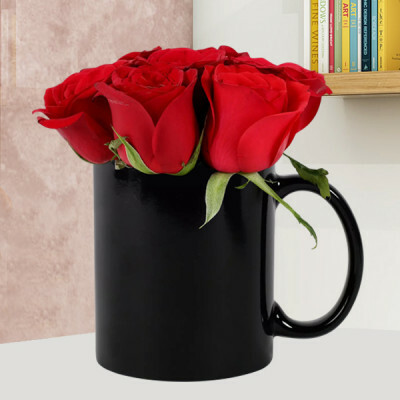 Whether you need to say the three magic words to your girlfriend, your wife, or your crush, these elegant roses will do it for you. 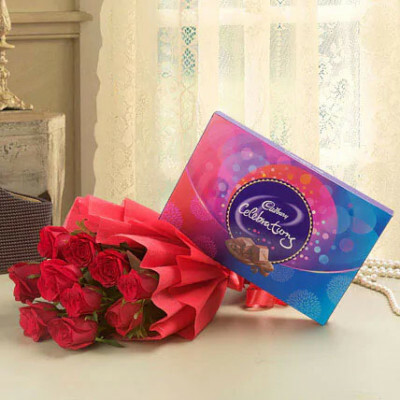 If you know her well, add her favorite chocolates or cake to the combo. 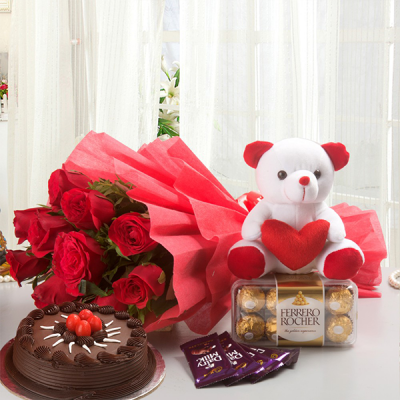 If you are unsure of that, you can always send the roses along with a teddy bear. 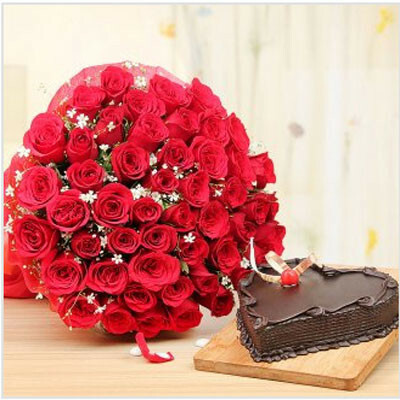 True love is like little roses, sweet and fragrant in small doses. 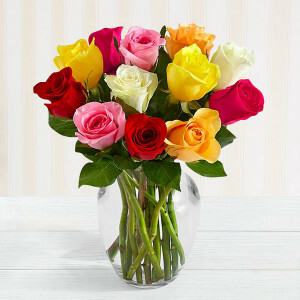 Even in the times, when an interaction between men and women was frowned upon, sending flowers was a norm. Continue this centuries’ old tradition, and this Valentine's Day, send only the best Valentine Roses for Her online with MyFlowerApp. 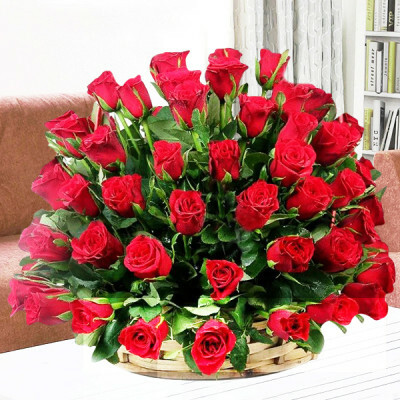 From stunning bouquets of red roses to vases and baskets, and from heart-shaped arrangements to a roomful of gorgeous roses and rose arrangements, you can choose from a plethora of Valentine's Day Roses for Her. Complete the difficult task of expressing your love for the first time, or make her day beautiful, with our help. 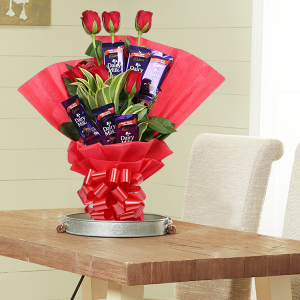 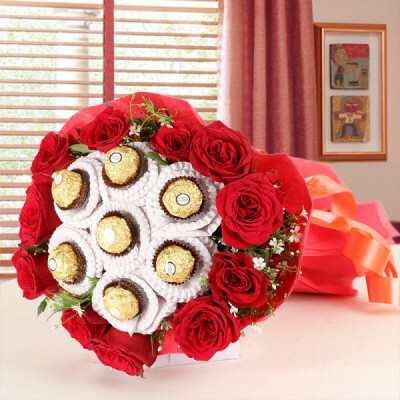 Whether you send her Valentines Roses online or fill her room up with roses, we will professionally deliver a gorgeous and aesthetically pleasing arrangement, designed by expert florists, featuring garden fresh and handpicked blooms. 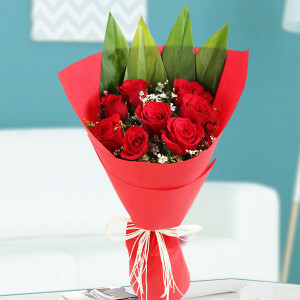 There is nothing more romantic than roses and the night, and getting roses at midnight would absolutely make her swoon. Get her favorite roses arrangement delivered to her doorstep at 12:00 dot, with MyFlowerApp’s midnight delivery service. 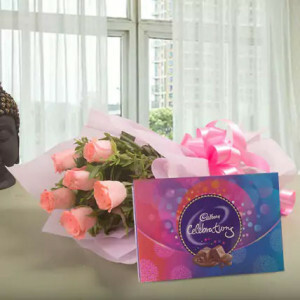 Surprise her with this cute and romantic gesture. 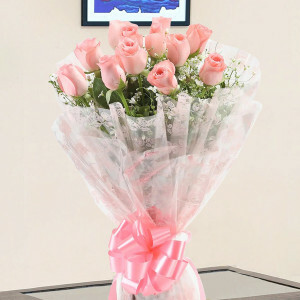 Or, you can also get them delivered to her work during the day, with our express delivery service. We will deliver anywhere in India within 3 hours and with free shipping. 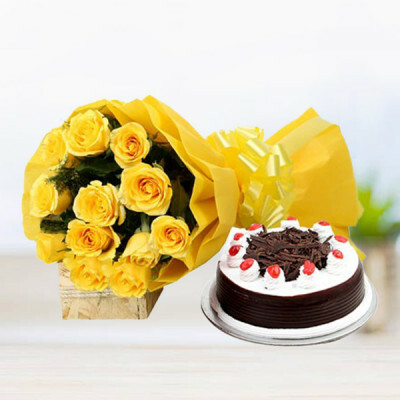 Apart from major cities like Delhi, Mumbai, Bangalore, Kolkata, Chennai, Pune, Gurgaon, and Hyderabad, we cater to almost all of India. 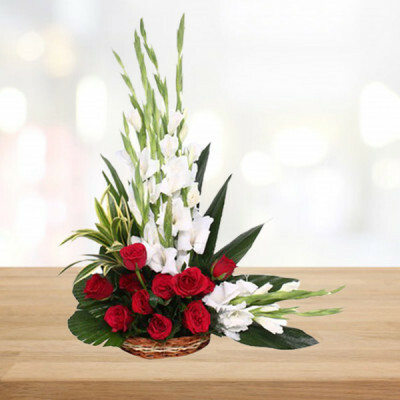 We cover numerous countries as well, like, Sweden, Australia, United Kingdom, Canada, Singapore, Malaysia, Germany, France, South Africa, United Arab Emirates, United States, and more.